This 4bd/3ba private beach house is in the quite community of Arbour House. 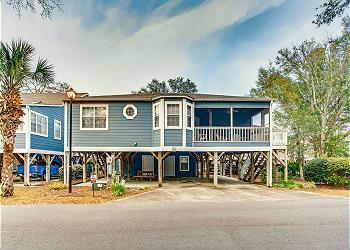 Located only .1 miles from the beach, this house gives you all the comforts of home while on vacation at the beach. This house can accommodate 8 with 3 queens & 2 twins. This private beach house has a screened in balcony, fully equipped kitchen, covered parking, free Wi-Fi, outdoor storage and an enclosed outdoor shower with hot & cold water.